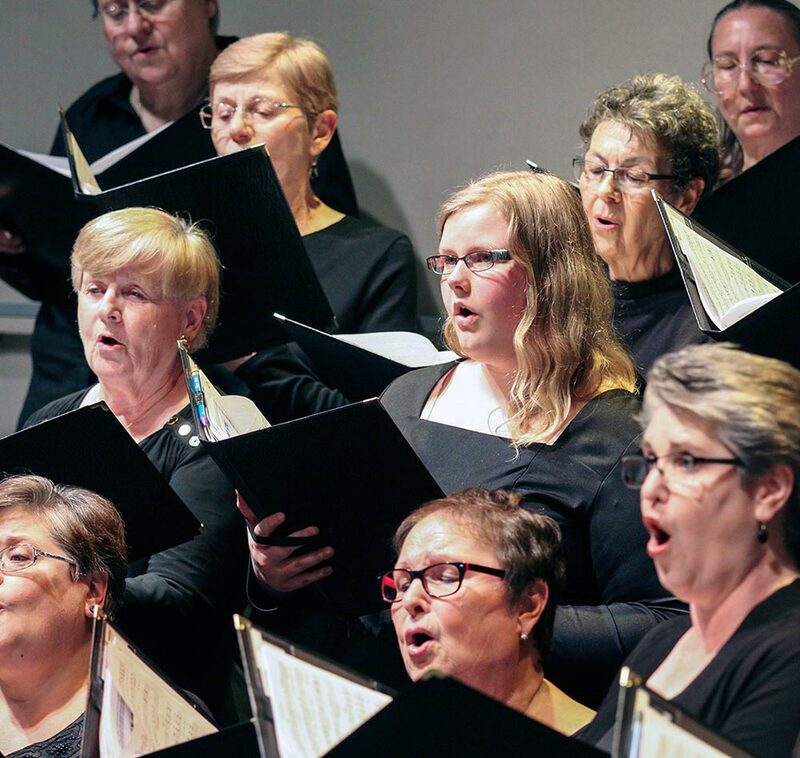 The Ozarks Chorale Spring Concert is a celebration of our love of singing together – for ourselves and for our audiences. This exciting evening of music will engage its listeners with musical selections that span eras, genres, cultures, and styles. Beth Withey, in her eighth season as artistic director and conductor, will be directing the Chorale in an adventurous and varied program of music that will feature new compositions and musical styles as well as new takes on well-loved traditional compositions. 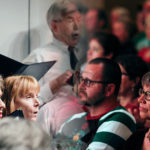 Listeners may expect to hear songs from classic choral literature, songs and chants from other cultures, Broadway tunes that span the decades, folk tunes from many lands, moving spirituals, and the music of new composers, including the Chorale’s gifted accompanist Ellen F. Stephenson. The concert is held at the auditorium (“The Aud”) on Main Street, in Eureka Springs. The Aud is an incredible venue built in the 1800s, with amazing acoustics and one of the finest concert grand pianos in the area. Open seating ensures that your party will be able to sit together, and the intimate space ensures that you will feel that the Chorale is singing just for you. Proceeds go to support the Ozarks Chorale and its activities. Tickets are $10 for adults. We encourage children and student to attend with their families at no cost. Tickets may be purchased at the door the night of the event, or from any Chorale member. The Chorale’s Spring Concert is a great way begin summer in the beautiful Ozarks. Mark your calendars now to attend on April 27, and plan to make it a new or continuing family tradition. Since children and students attend for free, it is an affordable way for families and friends to spend an exciting, entertaining, and educational evening of music together.